Microsoft should have just not released Windows Vista rather than making us bear the pain of trying to use a crappy operating system. Or at least very annoying. Problems I never had in Windows XP now show up all over Vista. Why do I need permission when I already agreed to it when the other annoying UAC dialog popped up and asked me about it! Strange thing is that even if you are an Administrator, there are certain tasks or actions that Windows locks down. The best part is that you do not get this error on any kind of consistent basis, it can pop up when you are trying to delete a folder, trying to copy some files, trying to install a program, etc, etc. It all comes down to not having the right security permissions. Note that UAC (User Account Control) does not usually affect this problem, so don’t go out and automatically disable UAC. If you disable UAC, you can’t do things like share printers, etc., so it’s best to live with it. There are some things you can do, however, to help out with the “You do not have permission to perform this action” problem though. 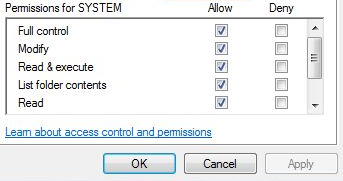 If it’s a particular file or folder you are trying to delete, you can simply give yourself full control permissions over the file. But before we go into that, try one other method that might be a bit faster. 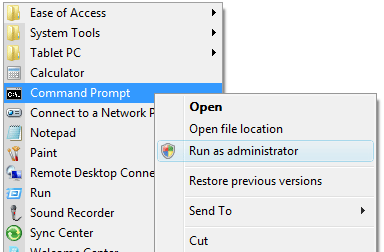 Go to Start, Programs, Accessories, and right-click on the command prompt and choose Run as Administrator. Press Enter and restart your computer. Now try to perform the task again that gave you the “You do not have permission” error. 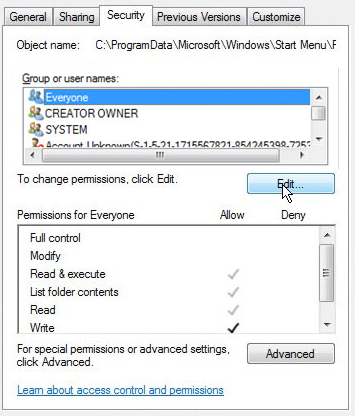 If that does not work, then follow the steps below to change the file permissions. 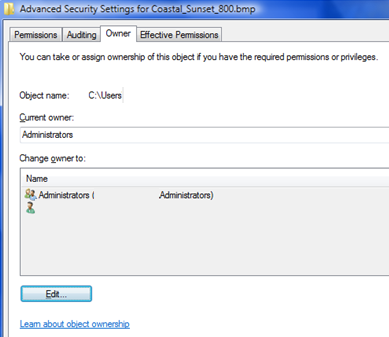 To change the security permissions for a file, right-click on the file and go to Properties. Then click on the Security tab. Now click on the Advanced button at the bottom and click on the Owner tab. Click on the Edit button, click Other users and groups and type in your user account name and click Check Names. Click OK and on the Owner tab make sure to check the “Replace owner on subcontainers and objects” box. 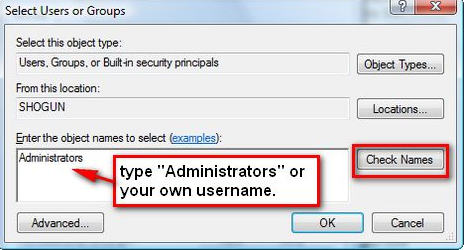 Now select your user account from the list on the Security tab and click Edit. Click Allow next to Full Control and click OK.
Hopefully, this fixes one very annoying problems with Windows Vista. I did notice that upgrading to SP1 helped to reduce the occurrence of this error, so if you do not have SP1 installed yet, make sure to go to Windows Update. Enjoy!